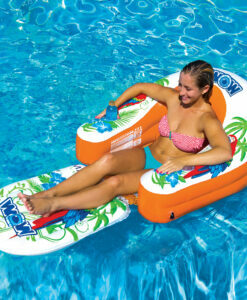 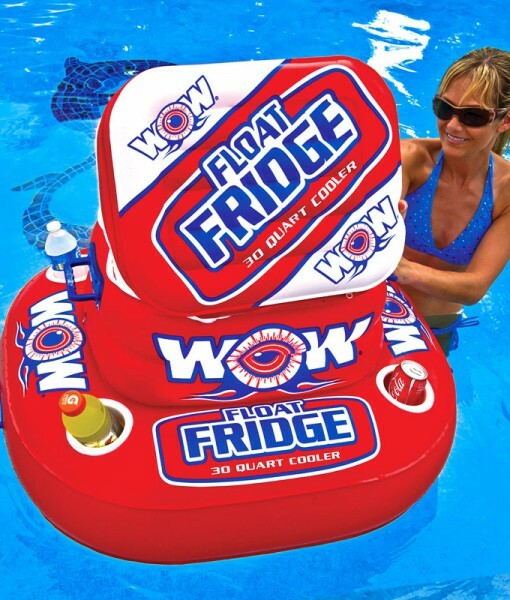 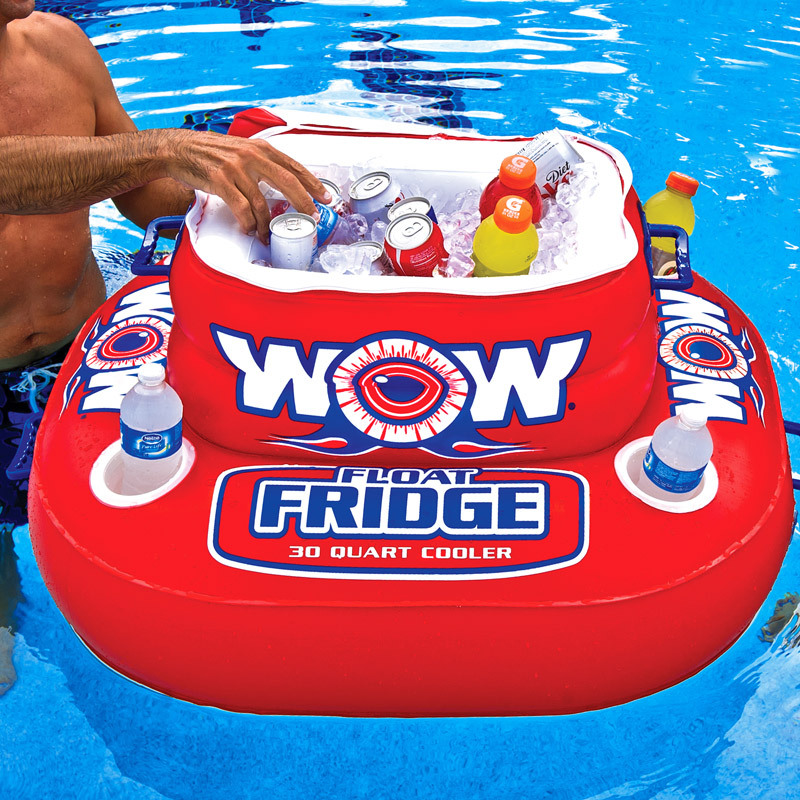 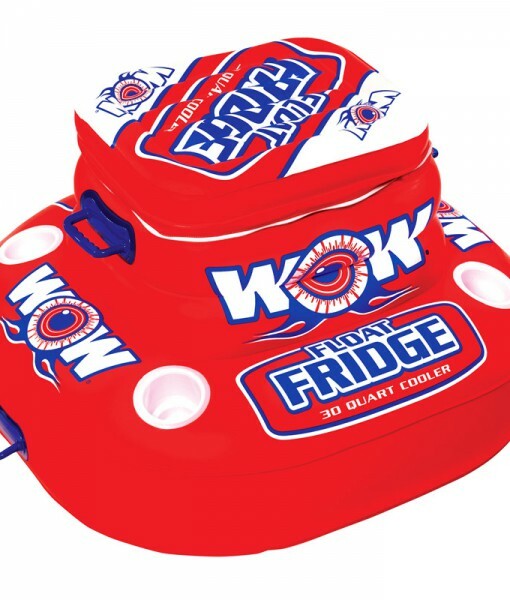 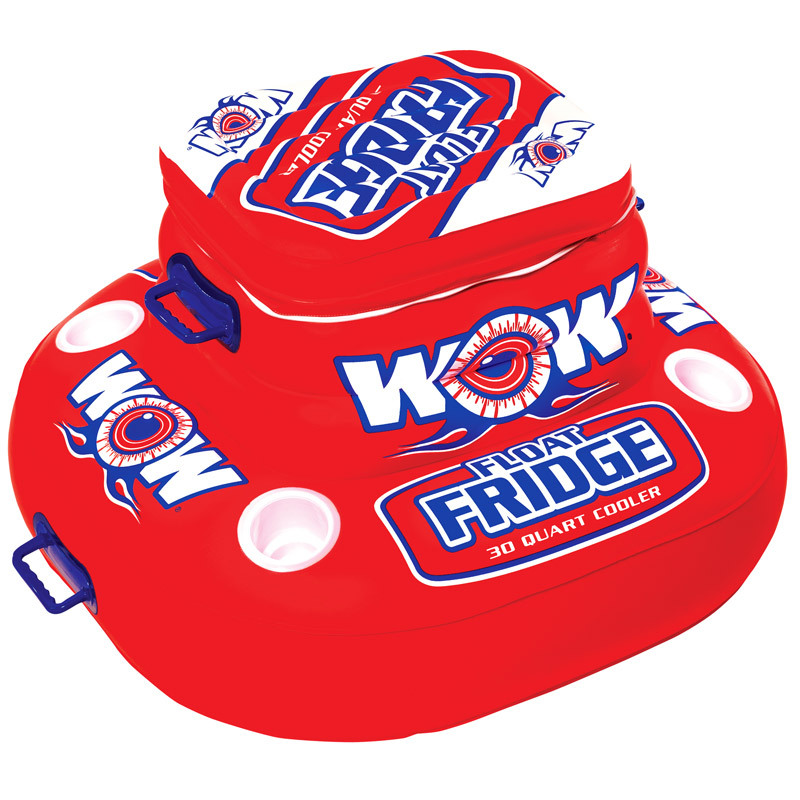 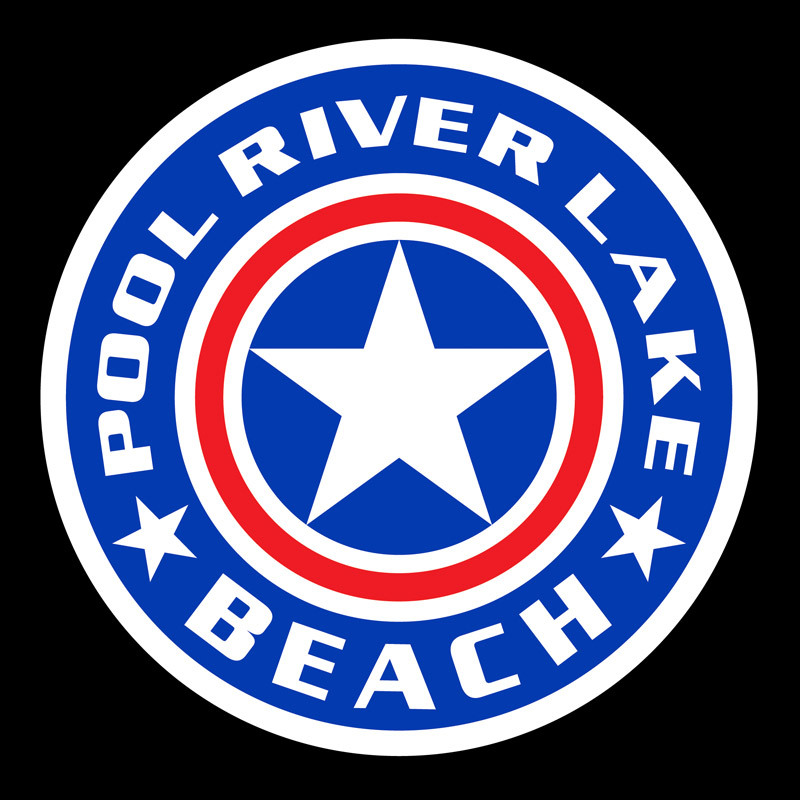 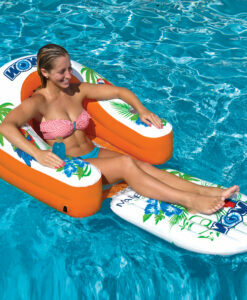 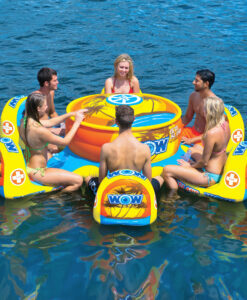 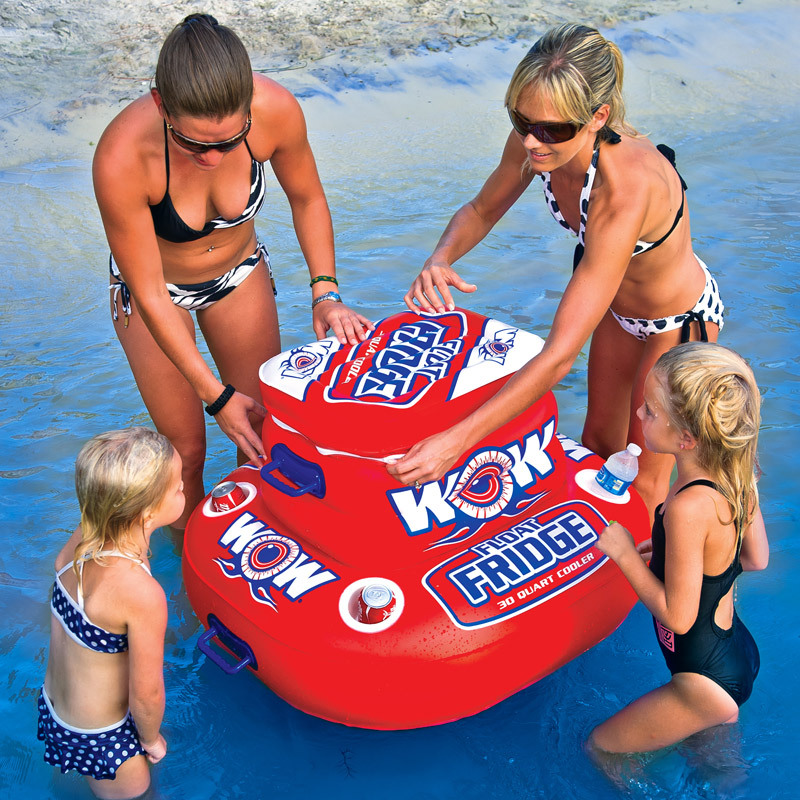 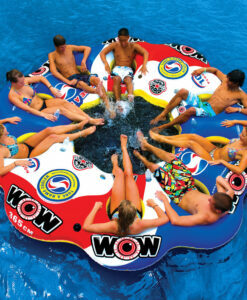 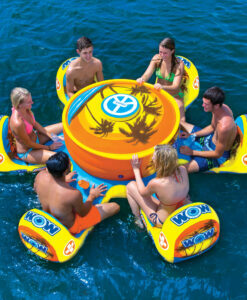 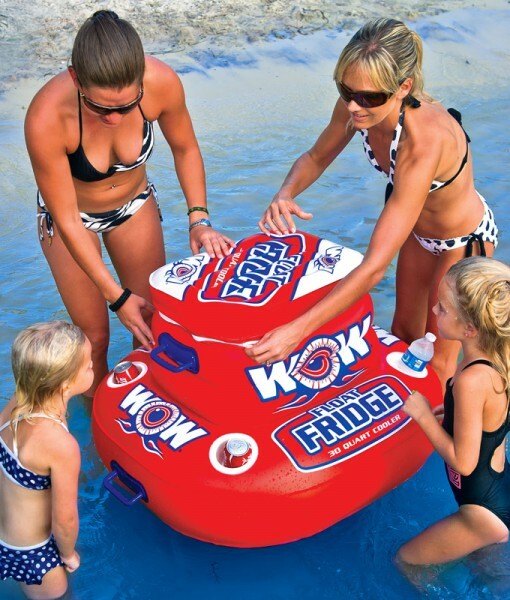 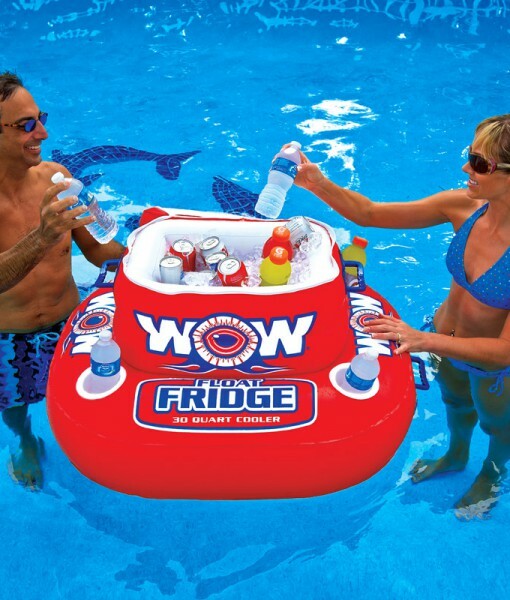 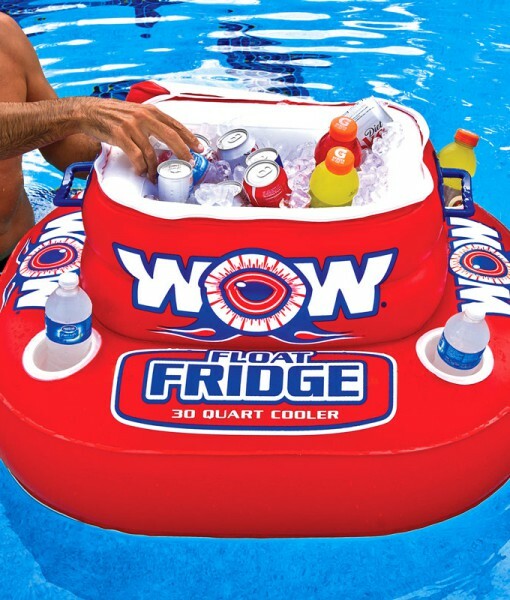 New rectangular shape floating cooler can hold up to 30 cans of your favorite beverage. 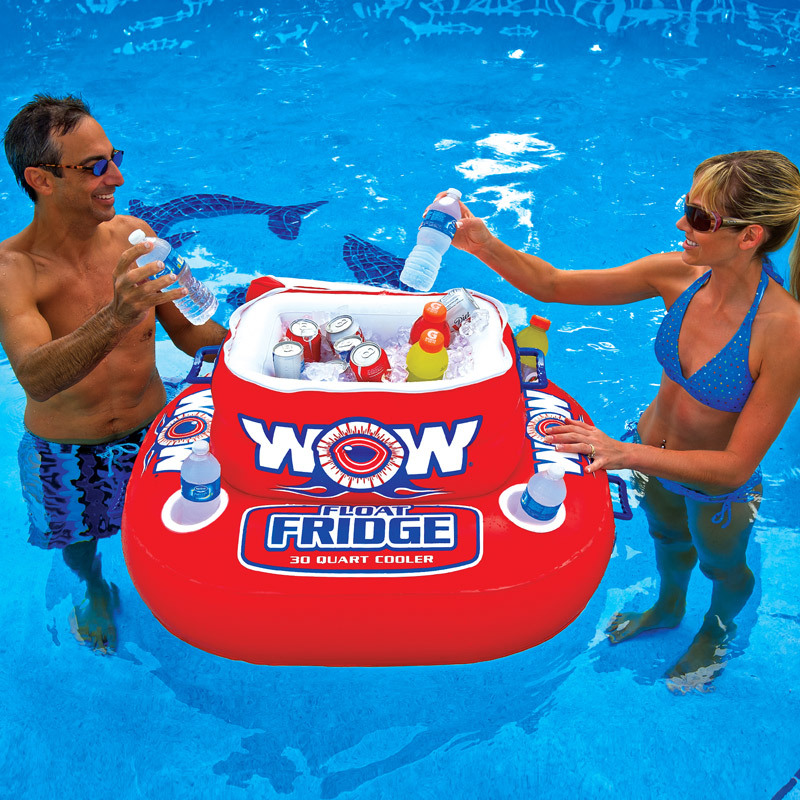 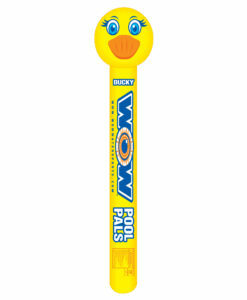 The thick sidewalls and double-layered padded bottom will keep your beverages cold all day. 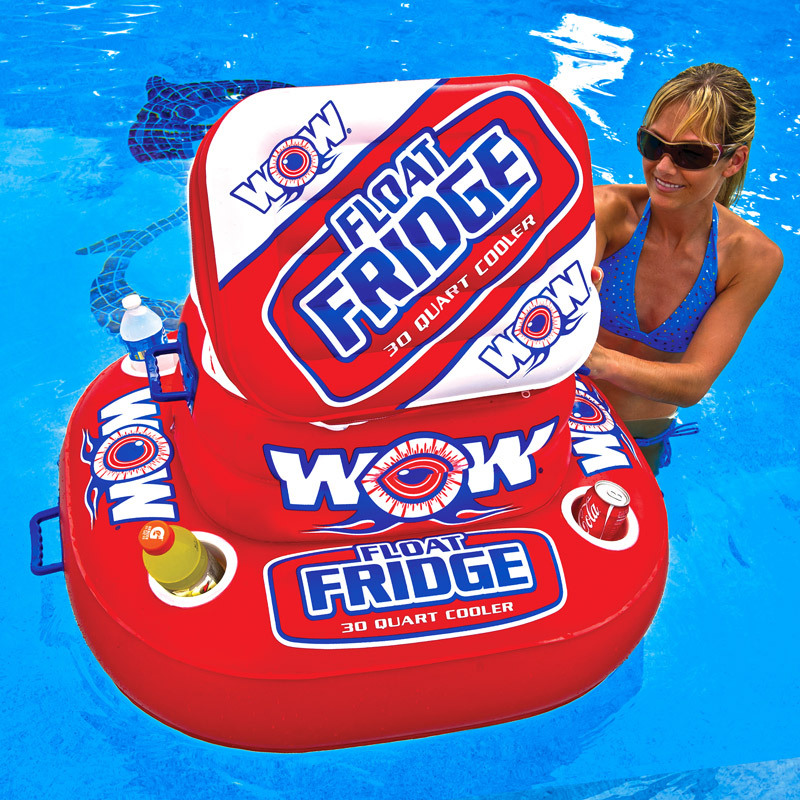 It comes with a grommet you can use to attach it to your floating island or lounge or to anything else you want it to stay close to.